I have a Newsletter, I bet you didn’t know that either! I’ve only sent out one so far but there will be more – and that’s not a threat! 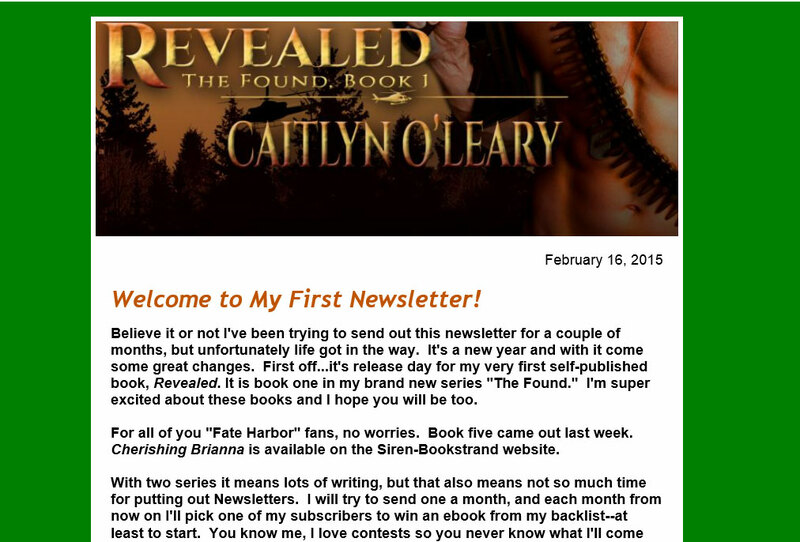 If you’d like to be added to the mailing list you can sign up here (Caitlyn’s Newsletter). I promise I won’t spam you!